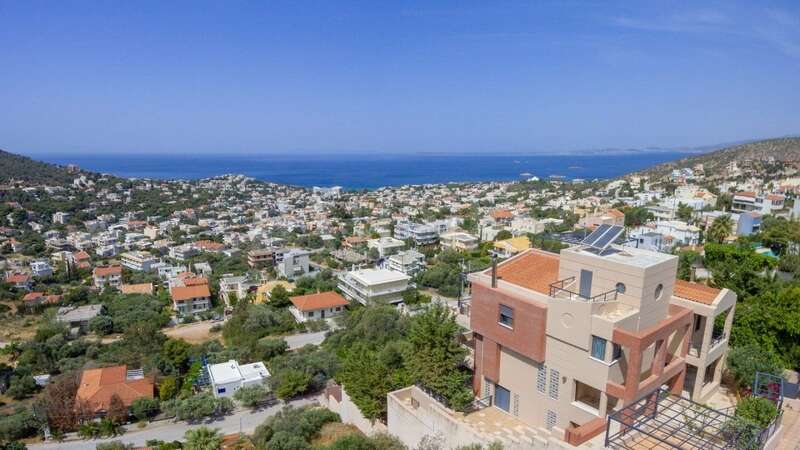 A beautiful property with a lovely swimming pool and an amazing sea view in the southern outskirt of Athens, in Anavyssos. The property is ideally located in front of the coast on a private road that only serves 3 houses and is just a few meters away from the beach and only 12km away from the Cape of Sounio. It consists of two separate houses, including spacious living are as overlooking the pool and the sea, large covered terraces with beautiful sunsets views, 6 bedrooms, 3 bathrooms, 2 kitchens and a toilet room. An amazing property offering a relaxing and comfortable living in the seafront.